An unnamed seller is reportedly trying to sell pictures of the Los Angeles Police Department’s most hunted man. TMZ reported the news Wednesday after the seller contacted the site about buying the pictures. TMZ called the pictures “extremely gruesome,” adding that “the top of Dorner’s head is gone” and his body is “missing several limbs,” including an arm. His eyeballs, chest and upper teeth remained in tact however. 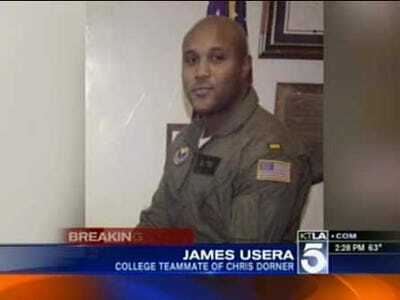 Dorner died last week after a nearly week-long manhunt led police to a mountain cabin where he was hiding. The cabin ultimately caught fire, trapping Dorner inside. TMZ reported that it declined to buy the pictures.